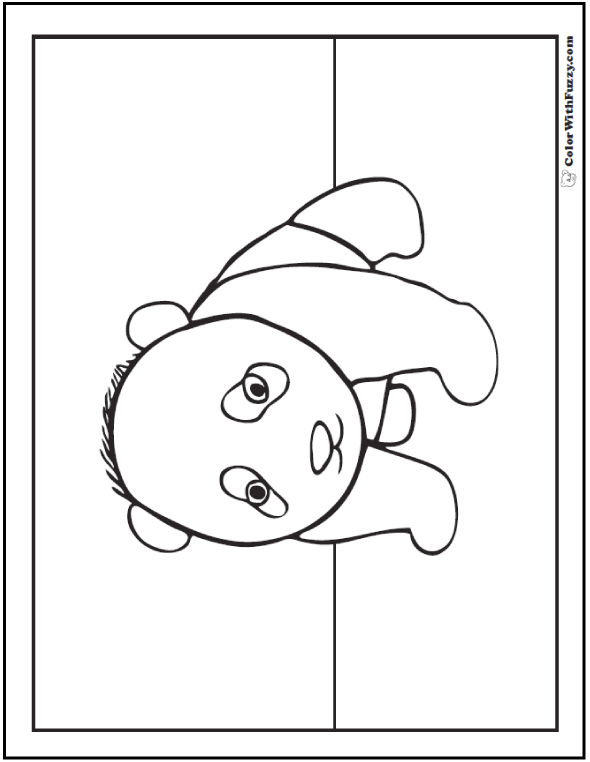 Color my panda bear coloring pictures with your brothers and sisters or share them with friends. Giant pandas look like the teddy bear of China to me. 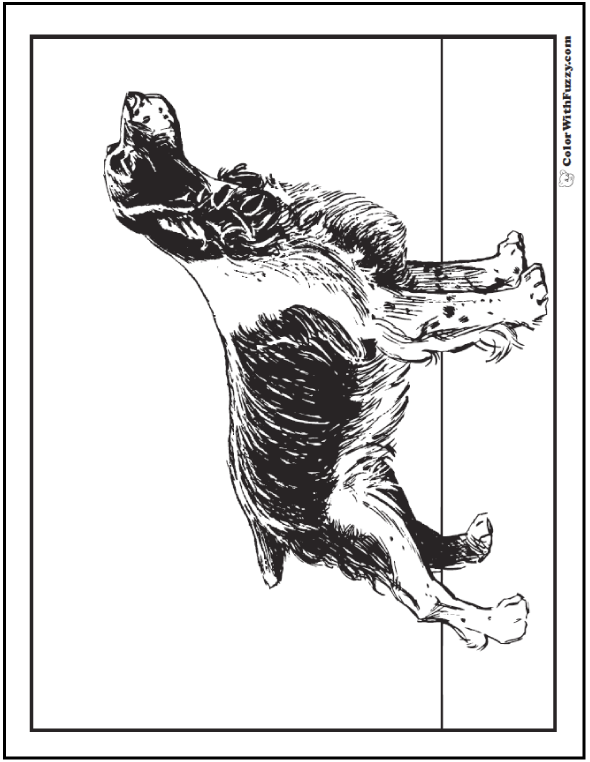 I love their black and white faces! 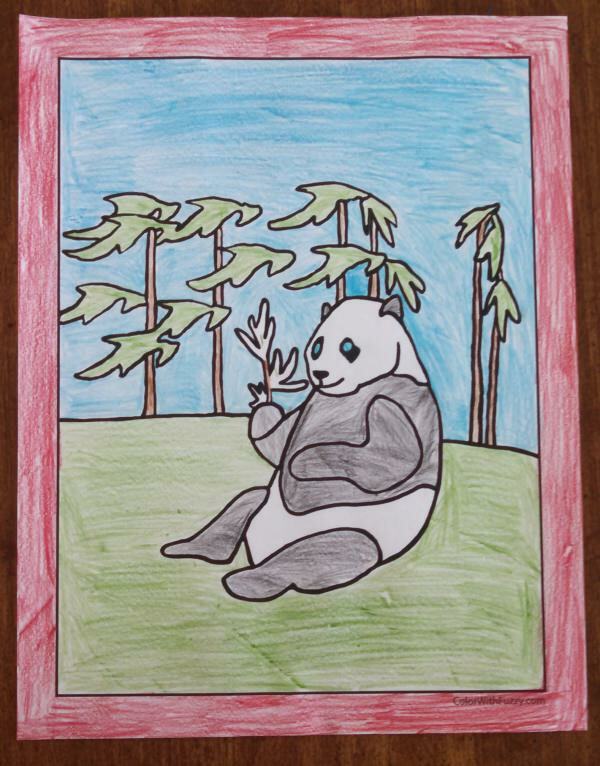 Did you know that giant pandas live in China and that they eat bamboo? Bamboo is so pretty. Those new shoots of bamboo look sweet and crunchy! 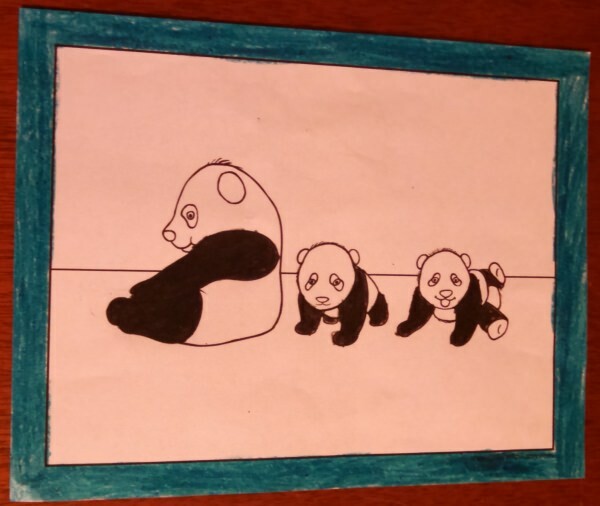 What's cuter than a panda? Baby pandas. 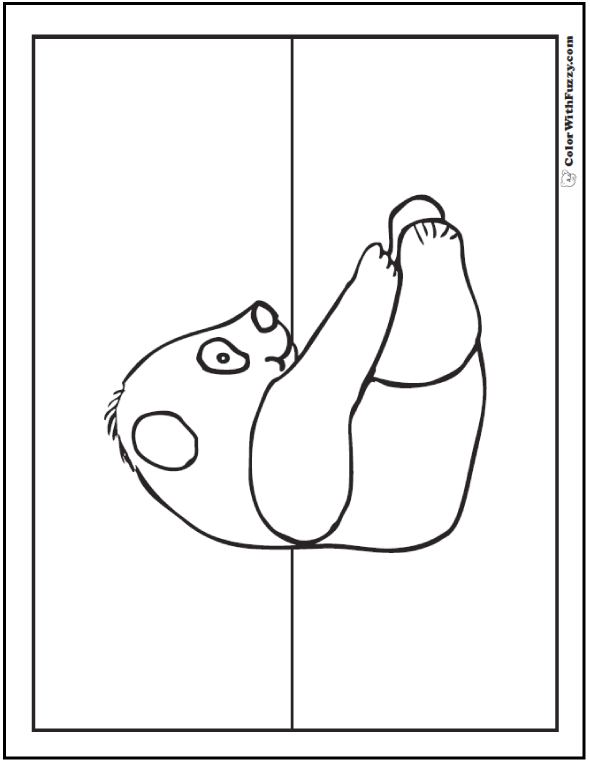 Enjoy my coloring pages of pandas! 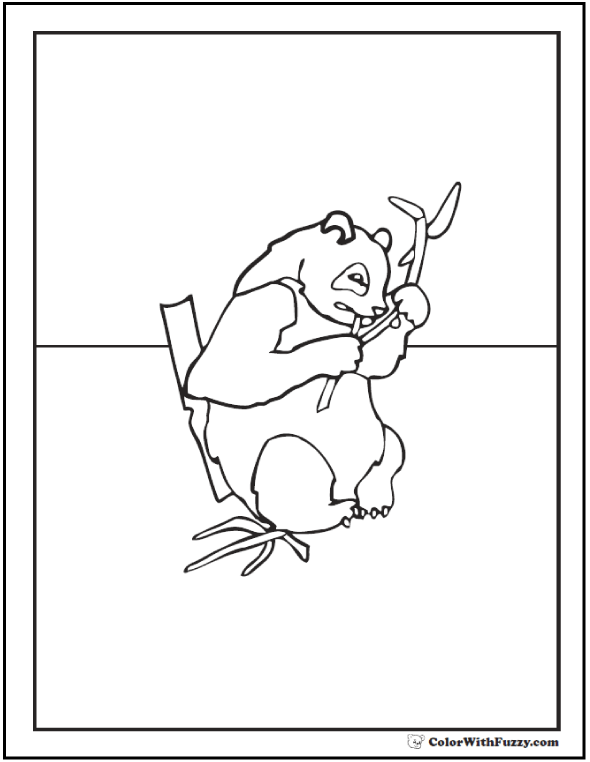 Color the backgrounds with greens, blues, and browns so that the white on the panda bear shows up on the page. 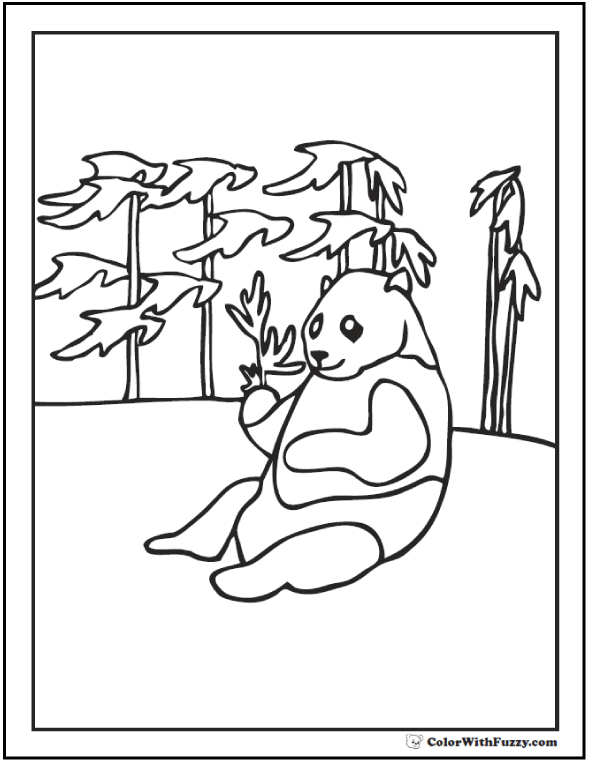 My panda coloring sheets have pictures of pandas eating bamboo and playing with other pandas. 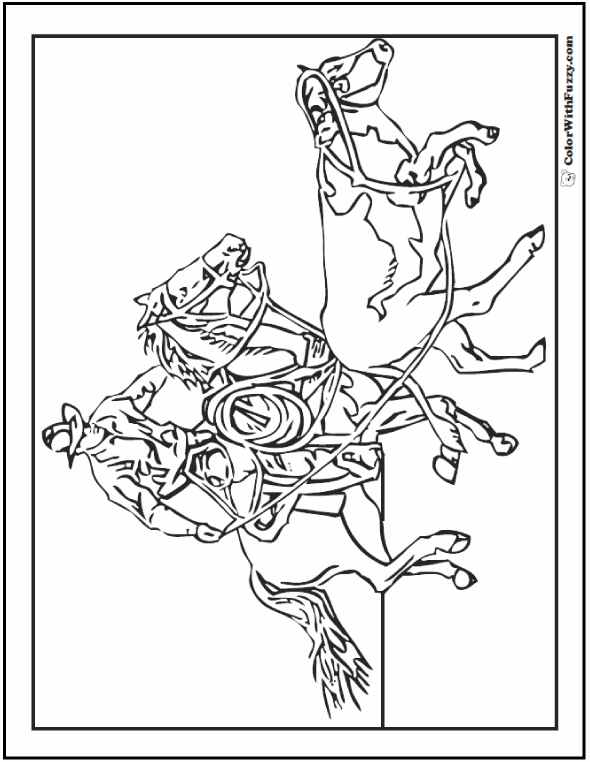 These are super for preschool because the lines are nice and clear. 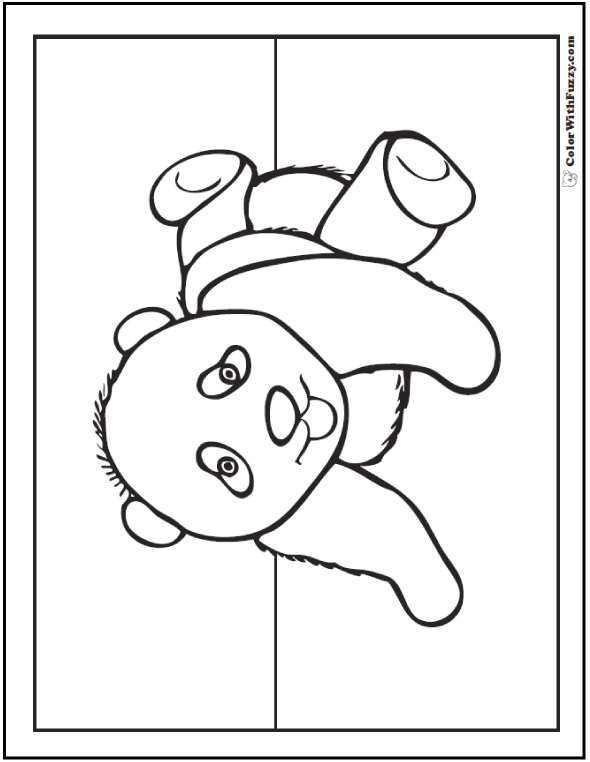 Mostly kids can color the background and leave the bears white and black. 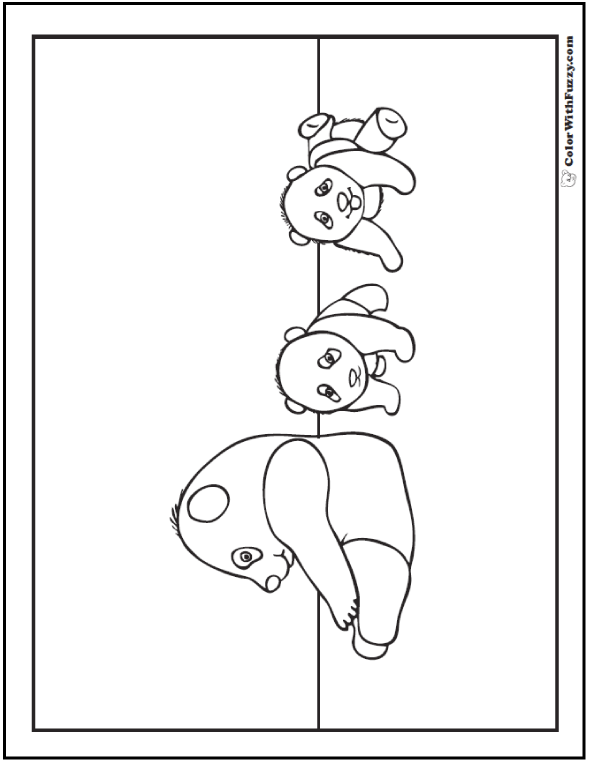 The gray fields help little ones see where the black goes. 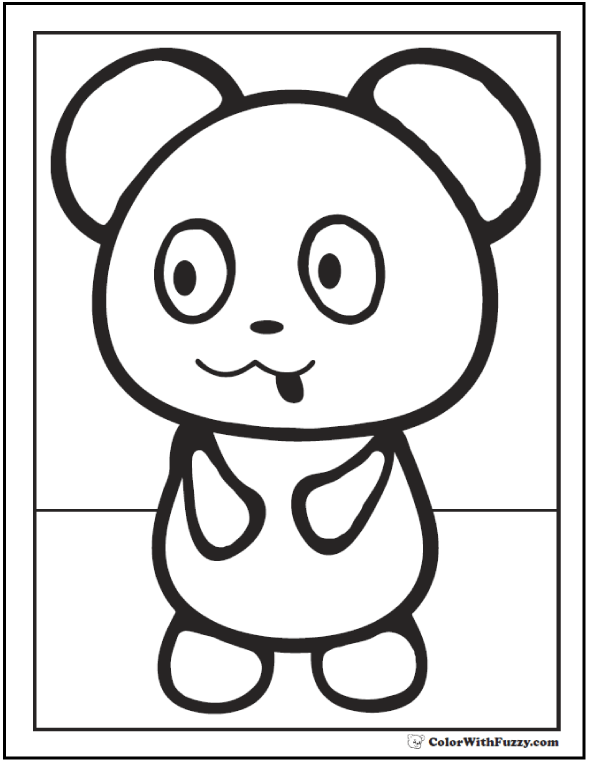 Pandas are generally white with black legs, "arms", and ears; and they have a black circle around their eyes that looks like a mask. I think that their eyes and ears make them look so sweet! 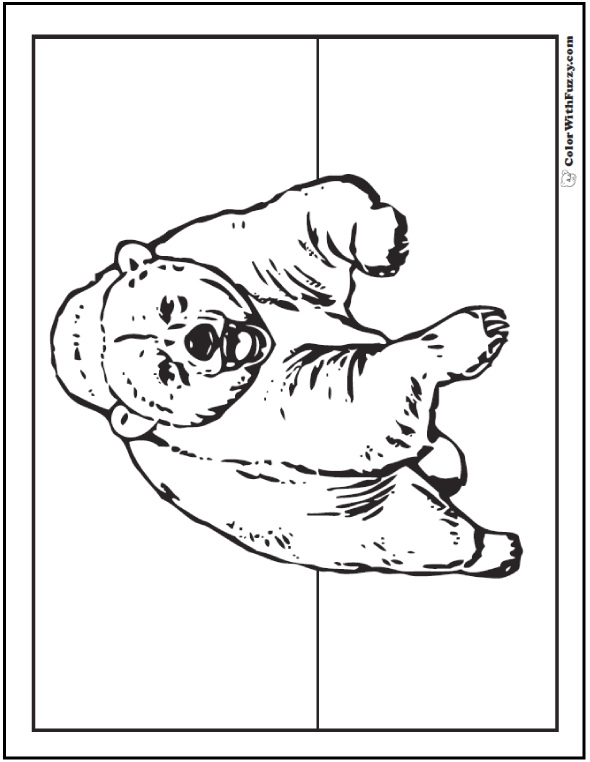 Of course, remember that even though they look cute, they are real bears and are just as dangerous as other bears. 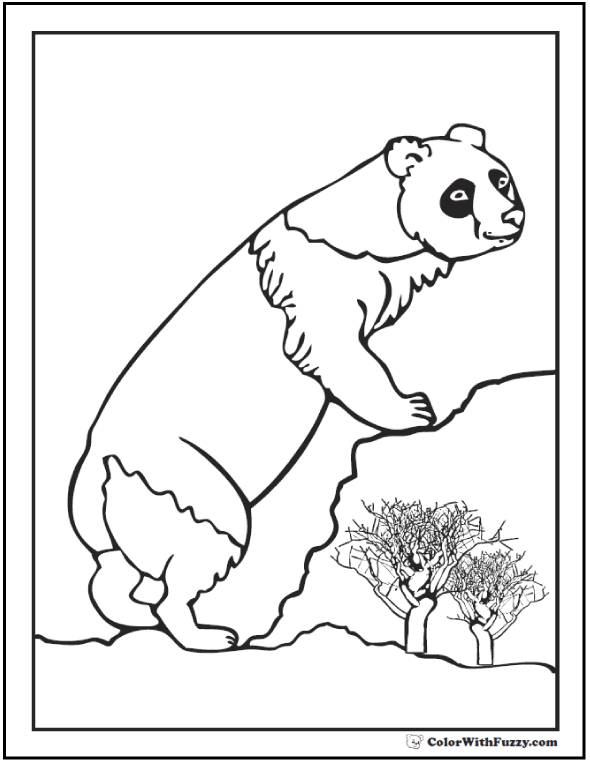 Thank you for sharing my coloring pages of pandas!